Ingredients: Guduchi, Amalaki, Ashvagandha, Haridra, Yashtimadhu, Neer Brahmi, Chausashta Pippali, Yashada Bhasma, Abhraka Bhasma, Haritaki, Arjuna, Shatavari, Kumari. Benefits: 1. Scavenges free radicals.2. Lowers oxidative stress.3. Facilitates immune system functions.4. Slows down the aging process. Vilvam, Kasmari, Agnimanda, Dundukam, Patola, Bruhati, Bhadrika, Prishniparni, Saliparni, Gokshuram, Vasa, Nagaram, Maricham, Pippali. It is very effective to treat respiratory disorders with phlegm especially cough, asthma, vata, chest pain and fever with phlegm. Yashtimadhu, Guduchi, Kantakari, Tulasi, Bharangi, Triphala, Guggulu, Parijatak, Kalajaji, Sariva, Haridra, Gandhak Rasayan, Godanti Bhasma, Swarnamakshik Bhasma, Kasis Bhasma. It is helpful in recurrent upper respiratory tract infections, sinusitis etc. 1–2 Capsules 2 times a day. Talispatra, Chavika, Maricha, Krishna, Krishnamula, Sunthi, Ela, Tvak, Patra, Nagakesara, Useera, Sita. It is effective in conditions like upper respiratory tract infections, sinusitis, cough, asthma, bronchitis and anorexia. It soothes the inflammation of the mucosal membranes and acts as an expectorant. It helps to enhance the immune responses and inhibits allergic inflammations. Partha, Mridwika, Madhuka pushpa, Guda and Dhataki pushpa. It is used in the treatment of Heart disease, Lung disease, Improves strength and Vitality. 12-24 ml to be taken twice daily with water. Holy Basil, Sweet Violet, Dry Ginger, Mint, Malabar Nut, Licorice, Clove, Turmeric, Black Pepper, Cinnamon. It helps to soothe the throat. Helps expel out accumulated phlegm. Supports healthy respiratory functions. Promotes Immunity. Dry Ginger, Holy Basil, Fennel, Cinnamon. It favours Digestion, Supports Immune functions, Faciliates respiratory functions. Amrutha, Erandah, Jeeraka, Kantakari, Maricha, Pippali, Shunti, Thulasi, Vasa, Madhu, Sarkara. It helps to cure cough, cold and respiratory tract infections. Children: 5 ml thrice a day with lukewarm water. Adults: 10 ml thrice a day with lukewarm water. Sitopala, Vamasarocana, Pippali, Ela, Tvak. 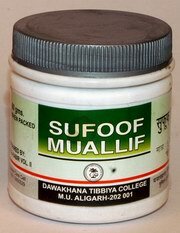 It is used in treating Cough, Colds, Running nose, Flu and other Respiratory disorders. 1 – 3 grams to be taken with Ghee, Honey twice daily.